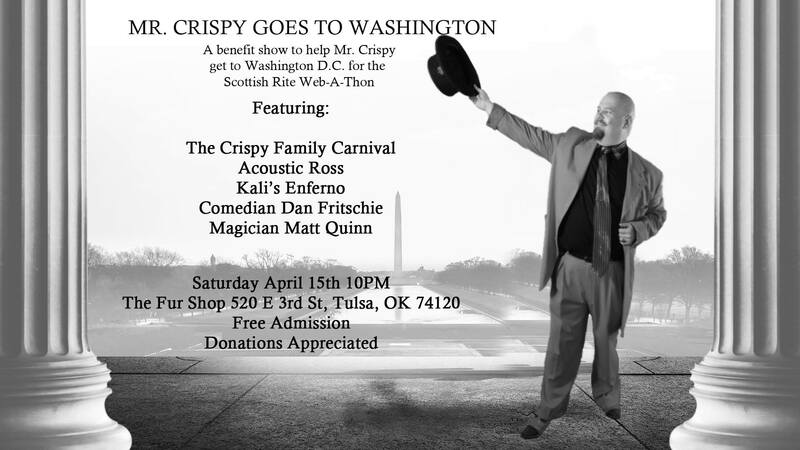 A benefit show to help Mr. Crispy get to Washington DC for the Scottish Rite Web-A-Thon. magician Matt Quinn, the Crispy Family Carnival and me! Saturday April 15th @ 10pm – Fur Shop, 520 E. 3rd Street, Tulsa OK. Sideshow, music, comedy, fire and more! Free Admission, Donations Appreciated.